Pen and ink offers strong, intense colour combined with a translucent effect. 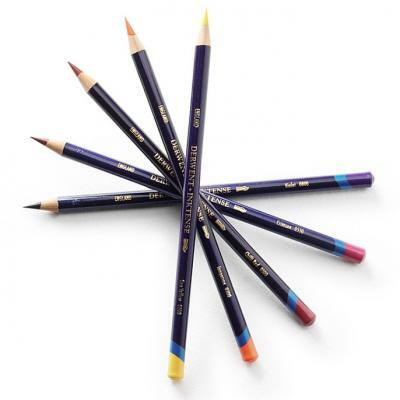 Now you can enjoy these distinctive qualities in an easy to use pencil. Inktense has a firm, blendable texture and comes in a range of 71 brilliant colours, plus a non-soluble outliner which allows you to draw outlines that are permanent. The colours can be blended together with a slightly wetted paintbrush while applying an overall light wash creates a vivid, ink-like translucency. Derwent Inktense pencils are incredibly versatile and can be used to create a diverse range of art from Japanese Manga to vibrant silk painting; traditional watercolours to stunning botanical illustrations. It is a new product for me, a very good one!